Castelsardo is one of the most amazing places of the whole strong>Sardinia. This small town in the northern west side of the island lies in the middle of the famous Golfo dell’ Asinara. This old middle age settlement combines the beauty of a crystal see with the romanticism of the location. This perfect mix attracts thousands of visitors every year, expecially during summer. Lots of people think that places like this can offer just sea and sun. This is definely wrong, Castelsardo has a lot of other things to offer. Culture, for example. Inside the city you can visit the famous Castello dei Doria, a beautiful and really old building from the eleventh century. Inside the castle there is the even most famous Museo dell’ Intreccio. This museum is the most visited of the whole Sardinia. Another place of interest you should visit is the Concattedrale, a church famous for its majolicas bell tower. And don’t forget to take a look to S Maria’s Basilica ; inside you will find the famous Cristo Nero (Black Christ), made in wood. When in Castelasardo, you can also enjoy lots of Sardinian courses. We strongly suggest you to ask for the Porceddu. 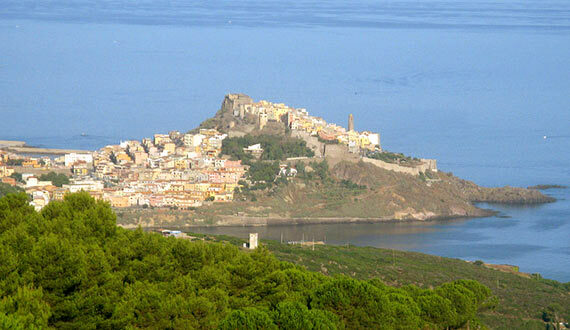 More, if you have a car, take a trip to Valledoria, a village in the area of Castelsardo. That place is famous for the way they cook the wild boar. If you are travelling during August, you’ll also able to come for the festival of the wild boar of Valledoria. And you’ll be able to taste many courses for a really cheap price. Another interesting trip you should make from Castelsardo it’s a visit to Burgos. This old middle age town lies in the deep interland of Sardinia. Here you ‘ll find the famous Castello di Burgos, made during Spanish invasion. It is said that into the castle still lives the ghost of an old nobleman. Will you find him ?